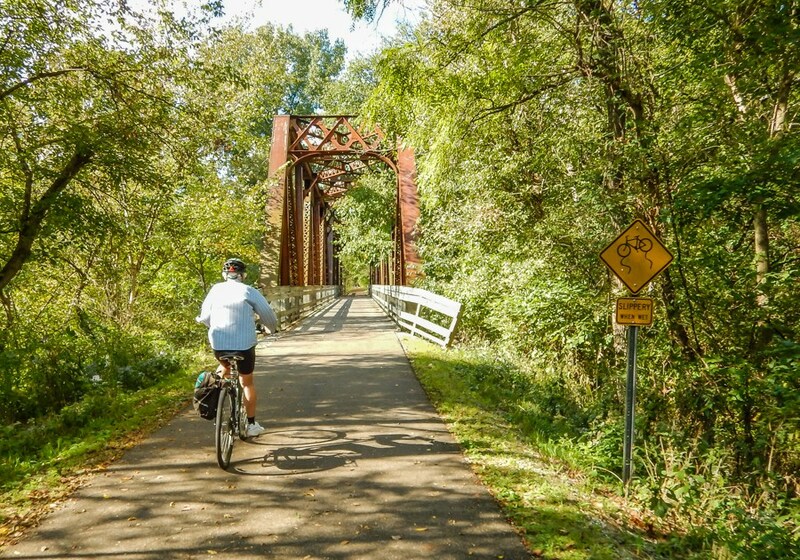 On the Ohio Bike Trails trip we ride a series of bike trails that begin outside of Cleveland in Northeast Ohio and end outside of Cincinnati in the southwest corner of Ohio. 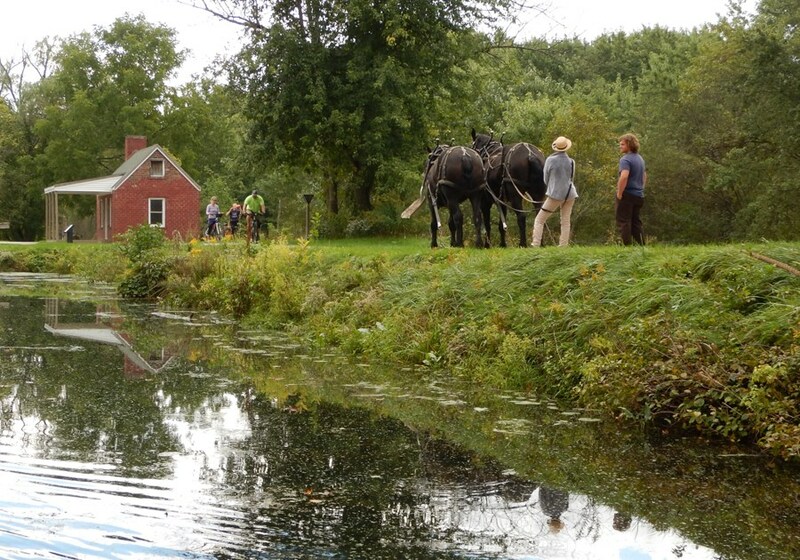 It’s a ride through parks, farmland, and more urban areas, often beside rivers and streams. The first two days of riding are on hard packed crushed limestone. The remaining days are on paved trails. The trails are relatively flat but we have found a couple of sections where there is a noticeable downhill. We'll be following the approximate route of the Ohio to Erie Trail, plus a few other outstanding trails to boot! We now meet for this tour in Columbus, Ohio. Introductory meeting and dinner in Columbus. We will get acquainted with each other and outline our week of touring. 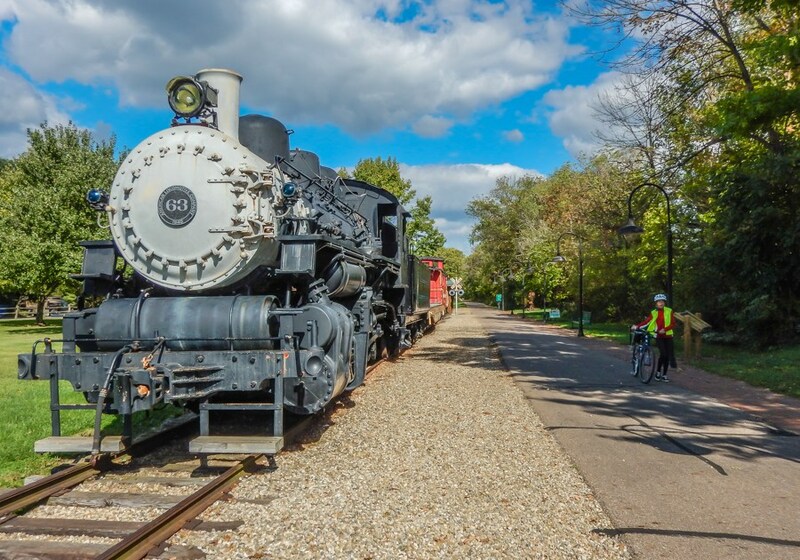 31 miles – After a van trip from Columbus up to Cleveland, we will ride the Ohio and Erie Canal Towpath from Cleveland to Akron passing through the Cuyahoga Valley National Park. 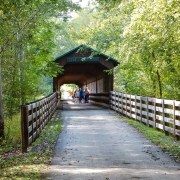 39 miles – We ride the Ohio and Erie Canal Towpath from Akron to Navarre with a stop for a picnic lunch in Canal Fulton. We spend the night in Berlin and walk next door for an Amish dinner (included). 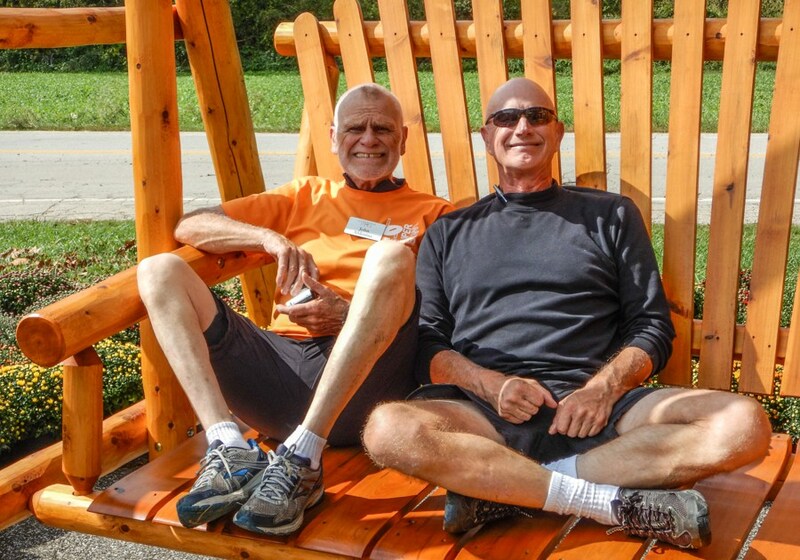 35 miles – We visit an Amish Heritage Center then van to ride the Mohican Valley Trail, the Kokosing Gap Trail and the Heart of Ohio Trail from the Bridge of Dreams through Danville and Mount Vernon to finish in Centerburg. 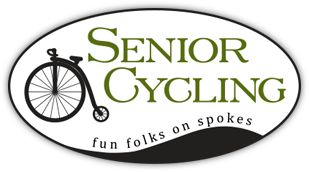 28 miles – We van to Georgesville to ride the Roberts Pass and the Prairie Grass trails. Our trail today is more level and passes through farmlands, pastures and woods. We'll end the day in Cedarville. Our hotel is right on the trail! 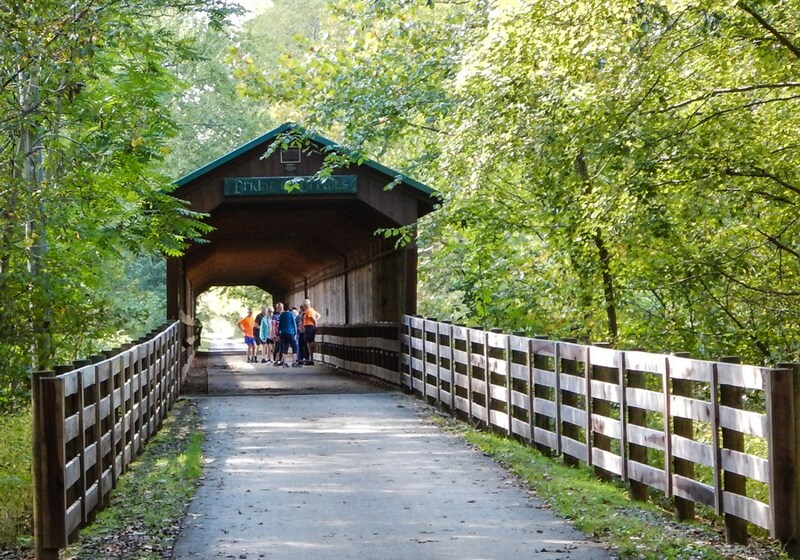 You can add on 10 more miles with a trip to Buck Creek State Park and back. 32 miles – We van to Dayton to ride the Creekside Trail along the river to Xenia, then turn south to ride the Little Miami Trail to Corwin. Tonight we'll stay in Franklin, a short van ride from Corwin. 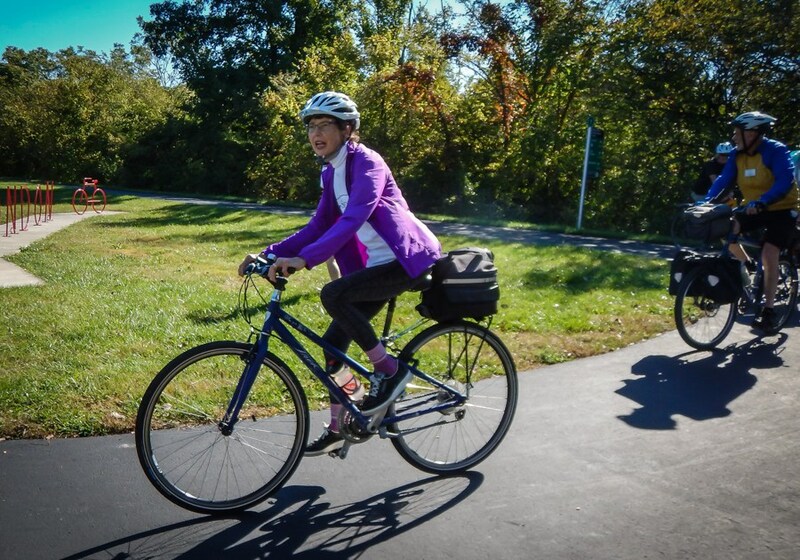 38 miles – To finish our tour, today we'll bike from Corwin to Milford. Be sure to stop in Loveland for ice cream and other treats! We'll be in good spirits on our shuttle back to our opening hotel in Columbus! This tour’s trails are all paved, with the exception of the first 2 days of riding, where we are on the Ohio & Erie Canal Towpath, which has a crushed rock surface. It is quite smooth and suitable for all bicycles. For this tour we meet people at 5:00 pm on Monday, October 7th at our hotel near the Columbus Airport. The trip ends on Monday, October 14th. We plan to be back in Columbus around 5:30 pm. We have a 2.5 hour drive back from Cincinnati so traffic conditions can impact our time. If you are traveling by air you fly in and out of John Glenn Columbus International Airport. Take Uber or taxi to our opening hotel. We return you to the hotel at trip’s end. If you are driving you drive to the hotel. You can leave your car there during our tour. The first night of the trip (Monday, October 7th) lodging is included. Your night’s lodging on the day the trip ends (Tuesday, October 14th) is not included. That night is at your expense and reservations for that night are your responsibility.